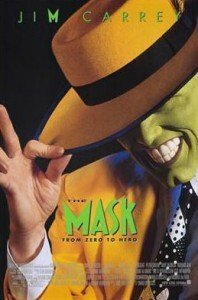 Jim Carrey’s “The Mask” is a slapstick film that set the pace for Carrey’s career in 1994. More often than not, slapstick films especially during the early 90s do not get any praise from film critics. But “The Mask” is a totally different type of slapstick film since even though it’s based on a comic book by Dark Horse, Jim Carrey practically took over the role and made it his own. It’s a fun movie that makes you forget it’s actually an adaptation. But aside from Jim Carrey’s performance, movie fans should also note that the movie is also a vehicle for another actor. Movie fans will immediately notice the amazing performance of Cameron Diaz. She practically dazzles during the entire film and whenever she comes in the scene, everyone focuses on her. Visual effects naturally played a part in the film. While some films make it a point to make the audiences believe that it’s real, “The Mask” doesn’t hide itself from its visual effects reliance and the result is actually brilliant. The things that come out of the main character are so ridiculous that it eventually makes you believe that it’s actually there. The beauty of the visual effects of “The Mask” was very impressive that it was nominated for Best Visual Effects.